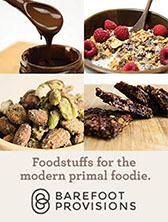 UPDATE: There’s a much more extensive and up-to-date list of my paleo recipes right here… dig in! To make things easier for you, dear readers, here are some of my favorite go-to recipes to ensure that eating clean is also eating delicious. My standards are high, and I only post recipes that I’ve personally tested. If you have a favorite recipe or site for clean eating, please post to comments and I’ll give it a go, then write about it (and give you credit, of course). Some of the recipes include zone blocks and Weight Watchers points. It’s like an archaeological dig: you can trace my nutrition history through time! Fat sources are interchangeable, so if a recipe calls for olive oil and you like coconut oil more, feel free to swap it out. If you find an error or have a question, please shoot me an email or post to comments, and I’ll get back to you asap. If you have a recipe you want me to give a test run, send it my way! I added a button on the right-hand side of my blog so you can get to this recipe post anytime you want inspiration – and as I test new recipes, I’ll add them to this post so it’s always up-to-date. Paleo Egg Foo Yung: is it an omelet? a pancake? who cares – it’s yummy! Paleo Czech Meatballs: tender, flavorful, fun to eat! Cumin-Roasted Carrot Coins: best. carrots. ever. Crispy Brussels Sprouts: like chips! Turkish Baharat: Middle Eastern spice blend with zing! Spiced Olives: taste like a ‘treat,’ but you can eat ’em anytime! 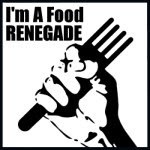 I’m excited to join the punk rock foodies on Fight Back Friday at Food Renegade. Wow — this is great! Thanks for all the inspiration! I made your spiced nuts over the holidays. They received many rave reivews and even a few, "You must give me the recipe for this!" I look forward to your participation, Mel. 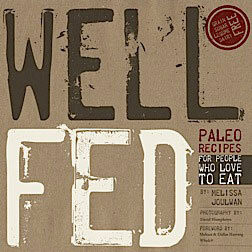 I am receiving a lot of feedback from that "Paleo" crew that were featured in the NY Times a few weeks back. Pretty exciting. I will definitely be trying some of these. Thanks so much! Great post! I just discovered your blog a week or so ago and am pouring through your archives, gearing up for my change in diet to dino chow 🙂 Your blog has been inspirational and informative. And we're neighbors! I'm in Austin too! Hi, Kitty! Thanks for posting! Feel free to shoot me an email if you have any questions… when are you changing up your diet? Good luck with it. I've been grain-free for more than a year, and dairy-free since July — and it feels really good. Let us know how you're doing! I am changing it now, with what I have in the house. I have always had lots of veges and meat, but I am not fully stocked up for a full on change. I am also taking this week to come up with a good meal plan and to change my mental state a bit, wrap my head around all the changes and to say good bye to some foods. I also have to think about how I can keep all the family fed while I stick to my own way of eating! LOL Mutiny of teenagers is never fun…..But I'll be fully ready to stock up after payday and grocery shopping. I cannot wait! PS, got the blog up and running finally (lots of posts to do). Would you mind checking it out at your leisure? Thanks so much for this post! Your blog is always one of my favorites!! Thanks for making this super easy for all of us! My stomach is growling just thinking about all the deliciousness. 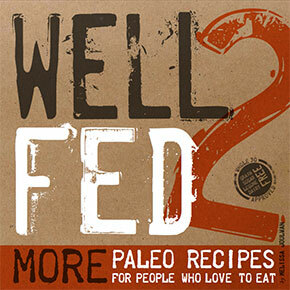 Thank you so much for this – just when I think I'm starting to run low on Paleo recipes I keep finding more. I've already made your chili and coconut curry recipes – both great. Keep 'em coming! Kitty –> Good luck getting started. It's not so bad once you get a rhythm down. Meghanw –> Your blog looks great! LOVE the photos. Blake & Lisa –> I have some new recipes coming in the next week or so. Get ready! Whole9 is at this very moment updating the "Dino-Chow" reference in our workshop handouts. You rock! Awesome! Thanks so much for pulling these all together – what a fantastic resource! Thanks again for being such a great resource & never-ending inspiration! Thanks for sharing your cooking creativity Mel! I've tried a few of your recipes and loved everything so far! It's also fun to read your CF comments. Gotta love CF Madness!!! I wanted to share with you a thought I had the other day when I ordered Thai food sans rice…julienned bamboo shoots would make a great replacement for noodles. Ever tried it??? Mer, I'm so glad you like it! I used to use diced tomatoes instead of paste — I go back and forth depending on what's in the cupboard. I also love the addition of peppers! Nice call. Steph, I LOVE that idea. I want to make a stir fry and try it over bamboo shoots… or a coconut milk curry?! That sounds awesome. Oh my goodness, I love you!! thanks for putting all this together. I think you need to make a cookbook. I keep coming back here for more good recipes! Hey, Brandy! I'm glad you're finding things you like. I've got some new ones queued up… coming soon! 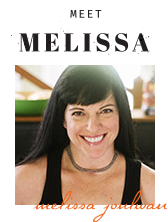 Mel-Love the site, your comments and the recipes!! Favorite so far is Curry Chicken. We CrossFit as a family, trying Paleo as a family; trying to find some kid-friendly meals (dinners specifically). 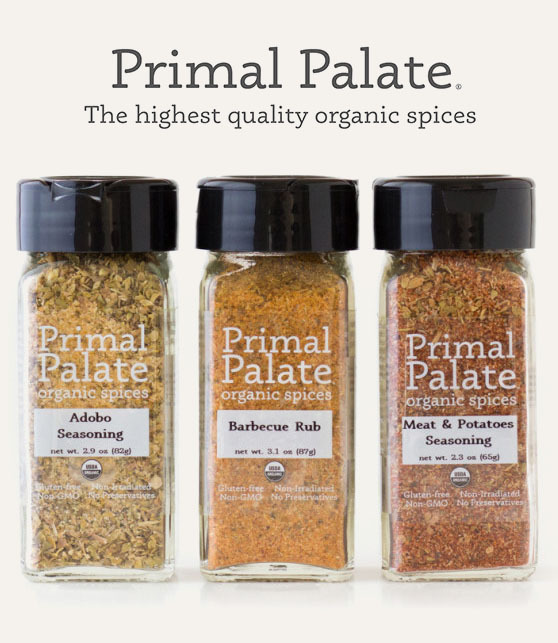 Paleo spices are turning kids into chicken nuggets; HELP! What a great blog! I just found you from the gluten free January challenge. This will be my first full go at it, also doing full paleo. Thanks for all the great recipes!! Hi, Erin… welcome! Best wishes for a successful paleo experience. It can be tough the first few days (5-10), but then you start to feel SO good. Shoot me email if there's anything I can help you with. Happy new year! Question – if we post food to our blogs that we got from your recipe, do you want us to just link back to your recipe, or can we link it and write it out? I want it to be clear that it's your recipe. Thanks so much for asking — that is very thoughtful, and I really appreciate it. A link back to the recipe is awesome, and you're welcome to reprint the recipe, if you want to, as long as you include the link attribution. Thanks a ton! I'm really glad you're enjoying the recipes. Mellie –> I'm so glad you're excited… doing a Whole30 is a pretty awesome (if sometimes trying) experience! And tomorrow is your first day. WOOT! Definitely keep us posted on how you're doing! And if you get stuck or have questions, shoot me an email! Day One!! Just made scrambled eggs with kalamata olives and golden cherry tomatoes with fresh basil and a side of smoked salmon and a couple of brazil nuts.. YUM! 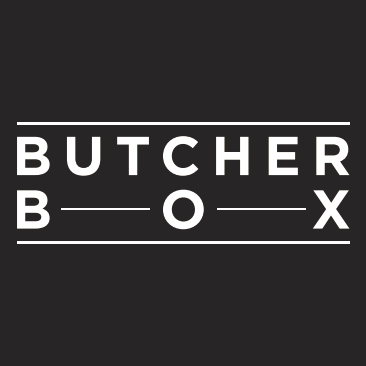 Planning on making several of your recipes this week.. Just one question (which may be helpful for others, hence why I am posting here) – For The Best Chicken You Will Ever Eat, how many chicken breasts should I get (no idea off-hand what is equivalent to 2-2.5lbs!) and how many per brine-bag (1/4c sea salt/water)? I want to get it right.. because I know it will be deeeeeelish!!! Melanie –> Well… it really depends on the size of the chicken breasts. The package of breasts should say how much it weighs, but if I was guessing: 2 lbs. of boneless, skinless chicken breasts is probably about 6-8 breasts. For brining, you can throw all the chicken in one bag. I just made this a few days ago and had lots of spice blend leftover, so if you don't want leftover, you might want to cut the quantities for the spice blend in half. However, I've been throwing the spice blend in veggies and sautes, and it's awesome, so leftover isn't a bad idea. Hi! I just noticed that nuts and seeds have a line through them. Are they not agreeing with you or are they disallowed in the Dino-chow world? (I love a few walnuts on my fruit/coconut milk desserts). Hey, Michele! I'm adhering pretty strictly to the Whole30 guidelines these days. 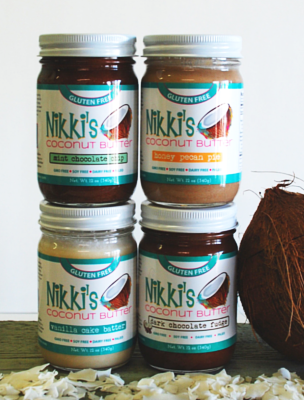 They recommend coconut products and olive oil/olives and macadamia nuts as 'best' choices for fats. Nuts and seeds are a delicious way to get SOME fat, but because of their high omega-6 content, it's good to alternate them with other fat sources. I crossed that out as a reminder to myself and everyone that yes, nuts are a healthy fat choice, but not as a primary fat source. Thanks for the suggestions on making this greek/italin. I made it greek and it was delicious. But my favorite way is cold salad – it is yummy and filling. Whats you thoughts of having it in the am like a cream of wheat – heat it up with almond milk maybe through in raisins and almonds. I think I am going to try it. I will let you know. Vanessa –> Your first Whole30 can be really challenging; I'm so glad to be able to help a little. Happy cooking! Thank you so much for sharing this and for the CrossFit Oly Cert fb page for sharing it as well. 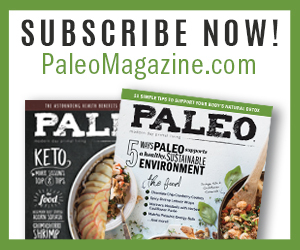 I am fairly new to eating Paleo aka Dino eating. I have done very little baking and trying to mix it up so my family is adjusting to moms new cooking. I can't wait to try some of the faux things like f'rice etc. I will say that Kale chips and spinach chips too are a fmaily favorite! Thank you! Hi, Karen! Congratulations on starting paleo… you're going to lose your mind when you make the f'rice. It's SO good, and you can do so many tasty things with it. Have fun experimenting! Drop by from time to time and let me know how you're doing!